When you want the trees on your property to be robust, look beautiful and have a long life, you must get the help of a trained tree care specialist. 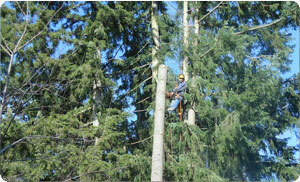 Hunter's Tree Service is the expert you can rely on for tree care and maintenance in the Graham, WA area. 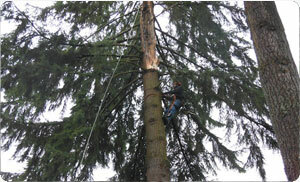 At our company, we understand how crucial proper tree care is for the aesthetics, health and longevity of trees. We also appreciate how much time, effort and patience goes into cultivating trees. We are committed to helping you get optimal pleasure and benefits from the trees on your home or business by providing the finest tree care services that the Graham area has to offer. Trees require specialized care to thrive and remain healthy. Regular tree service by our qualified, skilled and diligent professionals is your best bet for preserving the trees on your property. 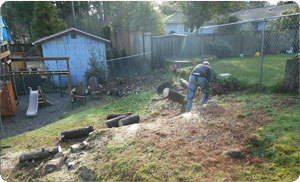 Our experts know that tree care requirements vary for different trees. That is why we offer personalized tree service, tailoring the care and maintenance regimen to meet the needs of every tree we work on. We are the #1 choice for tree trimming service for Graham homeowners. Our well-trained technicians can be trusted for proper pruning practices and skillful tree trimming work that enhances the structural strength as well as beauty of trees. To know more about tree care or to get a free estimate on tree service prices, Graham residents can contact Hunter's Tree Service. Reach us at (253) 777-1938.